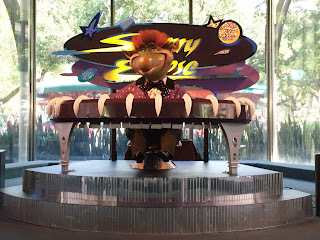 Sonny Eclipse is a lounge singing alien who has been entertaining Magic Kingdom guests for years. 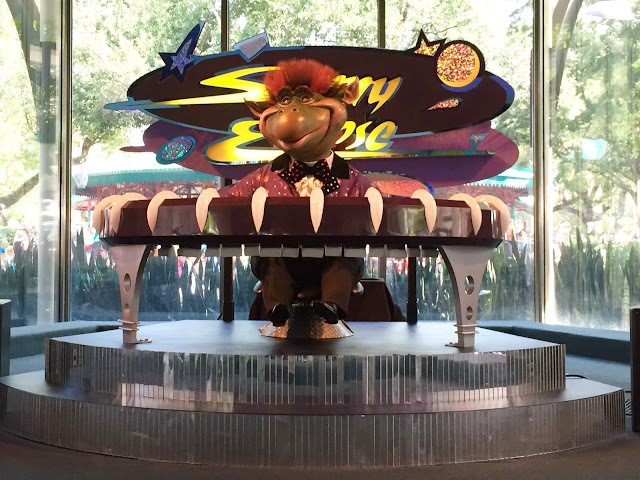 He's located inside Cosmic Ray's Starlight Cafe, which is one of the largest quick service restaurants in the park. I snapped this shot as I was walking through this morning.